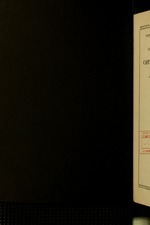 p. 579-589 : ; 24 cm. Foreign andi Domellstic e commercee. Atlantoi, Ga.: 50-1 P'ost Office Building. Birmiingham,, Ala.: 257 Federal Building. Boston, Mass. : 1801 Custombiousel. Buffalo, N.Y1. : Chamb~er of Commerce Building. Charlscton,, S.C.: Chamber of Commerce Building. Chicago, Ill.: Suite 1700t, 201 North Wells Street. Dalllas, Tex. : Chamrber of Commerce Building. Detroit, M~ich. : 2213 First National Bank Building. Indlinnup~olis, Ind. : Chamber of Commerce Building. Kansus;1 City, Mo1. : 1028 Baltimore! Avenue. Los Angeles, Calif.: 1163 South Brondwlfay. M\emplhis, Tenn.: 220 Federal Building. Mlinneapolis, M~ina. : 213 Federal Building. Newr Orleans, La. : Rooml 225-A, Customhouse. R'Ne Yor~k, NV.Y. : 73-1 Customhouse. Nor~folk, Va.: 4100 East Plume Street. Philadelp~hia, Pa.: 933 C~ommnercial Tr'ust Building. Pittsburgh, Pa.: Chambier of Commerce Building. Por~tlanud, Oreg. : 215 New Post Offlee Building. St. Louis, M~o. : 506> Olive Street. Saln Francisco, Canlif. : 310 Customhouse. Seattle, Washl. : 809I Federail Building. Code of Fair Competition be and it is hereby approved. The PREIDENTECEM BER 14, 1983.
ance with the provisions of the National Industrial Recovery Act. Wages above thle minimiia are to be e~quitably adjusted~. may be emiployedt in a hazardous occup-ation. 1923 .. .. -- ..--- --- ----- --- --_ 1, 414, 253! and thle number of emnploeess in thle Inidustry. Title I of the National Inldustrial Recoer~y Act. Fair Complletition for the Cas7t Iron)T PressureI' Pipe Indlustry. in his own finished product. trustee, corporation, or other entity engaged in the Industry. for sis (6) weeks in any six (6) months' period. per week averaged over a eniendatlr mlonthl. is bey-ond thirty!-six (36) hours per wteekr. AQrkansas. The N~orthi comprises all other States. of employees at suchi phece of employment. of the total emp~loyees during thle same period, except inl idle plants. increases made since M~ay 1, 1933.
ing specific provisions of the National Industrial Recovery Act. collective bargaining or other mutual aid or protection. or general working conditions under this Code. foundry all of the labor provisions of this Code. on a timne r~ate, piecework, or other basis. supervision and control of the Administrator. Crode or any conditions imposed by him upon his apporal thereof. consistent with the provisions thereof. constitute a violation of this Codle. tion by the Board of C~ontrol. subject to thle disapproval of the Administrator. Control, or any sub-Board of Control. practices are hereby declared to be unfair methods of competition. public accountant or by an necountannt having the equirn3le~nt. in. netual cost of transportation on a net-ton basis shall be ded'uctedl. based thereon specifically provide other terms. product in termsu cus~toma~rily used in the Industry. net tonl basis .shall1 be deducted. mlainlderl of thle Uniited States. AnTIC'IE I X-MnONorourI I .si, ETC. petition, elimiinate. oppress, or discr'inunat against small enterprises. Monday after it approv-al by the Pre~sident.